Above is a famous poster known as the 'Houdini For President' poster. I got to thinking about this, especially given that it's an election year and started doing some research into Houdini's presidency. As it turns out Houdini was President a lot! In 1911, Houdini was elected President of the Magician's Club of London. 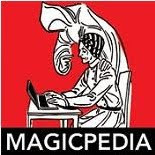 The Magician's Club was the brainchild of Will Goldston, but Will chose the position of Treasurer and allowed Houdini to remain President of the club until he died in 1926. After this Goldston took over until his death at which point the club vanished into the night. In 1917, Houdini was elected President of the Society of American Magicians. 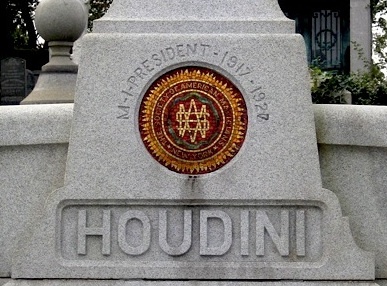 Houdini served as the Most Illustrious President until his untimely death. On his gravestone it actually reads M.I. President 1917-1927, even though Houdini died in 1926. In 1919, he became the President of the Martinka Magic Company. Interestingly, the Society of American Magicians, or S.A.M. as it's known, was actually formed in the backroom of Martinka's Magic Shop back in 1902. Even on the logo that Martinkas uses today it says "Formerly Owned by Harry Houdini"
Houdini's final office of the Presidency was for the Houdini Picture Corporation, though I imagine that is one office he might have passed on had he known how tough the movie studio business was. He should have stuck with making movies for others rather than trying to do everything. 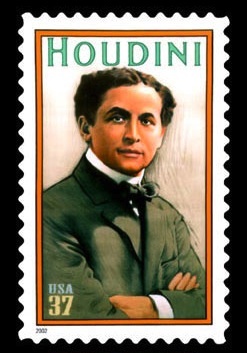 The 'Houdini For President' image was later used in 2002 as the image for the Houdini U.S. Postage Stamp that the Society of American Magicians lobbied for for many years. I think modern day Presidents and politicians of all kinds admire magicians and Houdini. 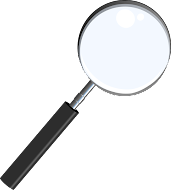 Magicians have the ability to misdirect and fool their audiences, while Houdini could escape from impossible situations and have the people rooting for him the whole time. Sounds like a politicians dream!